Welding Supervisors combine management skills with an extensive knowledge of welding processes and welding economics to plan, staff, monitor, and safely deliver welding projects according to schedule and budget. 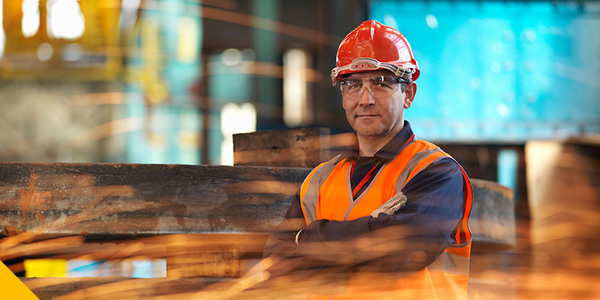 These responsibilities place welding supervisors in a unique position to increase productivity and quality in every industry that uses welding as a core process in the manufacture of their products. The seven courses that comprise the online Welding Supervisor Seminar cover the wide range of topics that a welding supervisor should know in order to prepare for the CWS certification exam and increase their company’s competitiveness in the global marketplace. Participants save over 40% on the combined cost of the seven CWS online courses. Approximately 84 hours of instruction divided into 7 courses. No previous knowledge is required. Course topics are presented in clear, easy-to-understand language and easily digestible chunks of information. We start at the beginning, explain every term and topic, and provide practice questions to ensure you understand the material. This seminar is ideal for welding professionals involved in planning, training, supervision, quality control, and safety. How long do I have to complete this seminar? Each of the courses that comprise the Welding Supervisor Seminar contains an online completion exam designed to evaluate the participant’s comprehension of the subject matter. Most of these online completion exams consist of 50 multiple-choice questions and must be completed within a 90-minute period. Participants who do not attain the 75% passing score may attempt to retake the exam a second time. Participants who pass the online completion exam earn an AWS Certificate of Completion for that particular course. Certificates of Completion can be downloaded and printed directly from the webpage. NOTE: The completion exam included in this online course is NOT the same as the AWS Certified Welding Supervisor exam. Participants who pass the completion exam are awarded Professional Development Hours (PDHs) based on the length of each course (1hr = 1 PDH). However, participants who wish to obtain Certification must take the AWS Certified Welding Supervisor exam at a PROMETRIC testing site. Please refer to the AWS Certified Welding Supervisor webpage for complete details. Will this seminar help prepare me for the Certified Welding Supervisor Exam? Yes. The Certified Welding Supervisor exam contains questions concerning the topics covered in this seminar. This course is designed to help prepare participants for this exam. NOTE: The completion exam included in this online course is NOT the same as the AWS Certified Welding Supervisor exam. Participants who pass the completion exam are awarded Professional Development Hours (PDHs) based on the length of each course (1hr = 1 PDH). However, participants who wish to obtain Certification must take the AWS Certified Welding Supervisor exam at a PROMETRIC testing site. Please refer to the AWS Certified Welding Supervisor webpage for complete details. Does the Pre-Seminar take the place of the week-long instructor-led CWS seminar? No. The CWS Online Seminar is designed to help students take full advantage of the 40-hour instructor-led seminar. Live seminars are designed to review the most relevant topics. Given their limited duration, there is often not enough time to cover any one subject in depth. Therefore, it is important for participants to learn or reacquaint themselves with the CWS exam body of knowledge before taking the instructor-led seminar. This online seminar allows participants to learn or relearn this crucial information at their own pace.